Welcome to your LoL fantasy betting guide. Here we will explain what the fantasy League of Legends phenomenon is all about, and we will reveal how it can even make you some decent profits. We all know how betting on fantasy sports has been one of the big gambling trends of the early 21st century, but esports fantasy betting takes the same format and applies it to the biggest esports tournaments to make it all the more exciting. If that sounds good to you, then we will show you how you can enjoy some fantasy LCS betting on some of the best esports fantasy betting sites in the world. So read our in-depth guide about fantasy League of Legends betting to see how you could experience the excitement and even make some decent profits from this awesome activity. Fantasy sports involves creating your own teams who are based on real-life sports stars who you enter in tournaments against other players. You can win a fantasy sports match by your team members picking up points that are gained by each player’s real-life performance. So if you are trying some fantasy sports betting for American football, you would enter a tournament by paying a fixed amount and get a maximum salary that you use to buy real-life players to fill your fictional team. Once you had assembled your team, you submit them against other competitors. Then you have to watch the real-life sports matches and if your chosen players perform well, you pick up points, but if they don’t, then you could lose some points. The players with the highest number of points win the tournament and get the biggest return on their initial bet. How does esports fantasy betting differ from this? Betting on fantasy esports applies exactly the same premise as traditional fantasy sports but applies it to the competitive gaming world. So you enter a tournament by paying a certain amount, and then you have to assemble your esports team. You can do this by picking real-life players who all have their own salary, and you cannot exceed the salary cap that is set by the tournament organisers. From here, it’s just a matter of seeing how the esports players perform in their real-life competitive gaming tournaments. As the League of Legends Championship Series is one of the biggest esports tournaments, it’s little surprise to find that fantasy LCS betting is the most popular fantasy esport, and we will show you how you can take advantage of this increasingly popular activity. Why is fantasy LCS betting so popular? 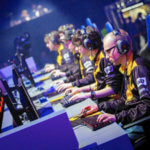 As the fantasy sports industry is worth at least $7 billion in the US and Canada alone, it’s little surprise to find that its esports variant is becoming increasingly popular. In fact, the popular fantasy betting site, DraftKings, recently reported that esports was its fastest growing games category. With over 2.5 million people signing up to try some LoL fantasy betting at the site since 2015, it’s clear that this is not just some passing fad. A big reason as to why fantasy LCS betting is so popular is that it combines two hugely enjoyable pastimes; watching esports tournaments and betting on sports. Obviously, the fact that competitors can win large amounts of money goes a long way to explain the hype around fantasy esports, but there’s much more to it than that. Betting on fantasy esports is a social activity that’s great fun to try out in small tournaments with friends, or even in massive daily fantasy esports contests with players from all over the world. Plus we have to admit there’s plenty to enjoy in researching which real-life esports stars to assemble your fantasy esports team with. And above all, it’s just a great way to get a little more involved in watching your favourite esports tournaments. Whether you want to try some quick LCS fantasy betting or prefer to wager on some other top LoL tournaments, it’s essential that you go to a fantasy site who have a decent reputation and will handle your personal details and deposits in a safe, secure and responsible manner. This is why we’d recommend DraftKings as a great place to start your fantasy esports journey. This US-based company was one of the first to kickstart the fantasy sports trend, and it has grown to include fantasy options for everything from US sports like American football, basketball, baseball and ice hockey, to golf, MMA fighting, motor sports, and thankfully, esports. DraftKings are fully licensed and regulated by the UK Gambling Commission which means that the brand are duty-bound to give you a safe, fair and completely transparent fantasy esports betting service. Plus they also only feature real-money payment methods like Visa, MasterCard and PayPal so that you can enjoy making deposits and picking up your winnings in a convenience and safe manner. You can enjoy the DraftKings service either on a computer, or via the user-friendly iOS and Android betting apps. The brand also allow you a simple way to enter free contests so that you can get used to the service without worrying about blowing your own cash. But it’s the daily fantasy esports contests that are the biggest hit with many different variants from head-to-head encounters to beginner-friendly tournaments. So if you want a great introduction to fantasy esports, be sure to give DraftKings a try. Acclaimed sites like DraftKings make getting into fantasy esports very easy. But if you need some help in starting your fantasy esports adventure, then just check out some of these simple tips. Whilst they won’t help you win every fantasy esports contest, they might be able to help you in avoiding too many rookie errors. Sites like DraftKings give you a good choice of esports fantasy contests to join. If you are new to fantasy esports, then the site allows you to play for free without real money, plus there are some great beginner-friendly tournaments to get you started. Once you’ve gotten the basics rights, then consider taking things up a level by going in on a head-to-head encounter against a friend. This is a good way for both of you to learn a little more about assembling your teams. After you’ve done this, it’s time to enter the big league and pick a top daily fantasy esports contest. Each contest will have a different entry fee that could range from $1 to $300 and you will also see what the total prize offering is. Be sure to check out how many entrants have signed up to the contest so that you roughly know who you are up against, and each contest has a specific date and start time too. Typical contests can range from a LoL Minion Blitz that has a $50,000 guaranteed prize pool, to the LoL Ultimate Challenge that has a staggering $200,000 prize. We would recommend starting with a simple LoL Skill Shot contest that typically just has an entry fee of $1, and then work your way up to the likes of the LoL Penta-Kill contest that has a $300,000 grand prize. Once you’ve decided which fantasy esports contest to join, it’s the fun part where you get to assemble your team. For each contest, you will get a total salary cap of $50,000 to spend on your players. There’s also a handy notification of what the average salary you can spend on the screen so that you get a rough guide of which players offer good value for money. Now you can scroll through the list of real-life players to assemble your eight-person team with. You can’t pick more than four players from any one team, and there are some LoL-specific roles that you must fill. These include positions for top laners, junglers, mid laners, attack damage carry, support, team and two flex roles. It can be tricky to get a decent balance of star players and less-experienced competitors in your team. But by keeping an eye on your salary cap and carefully researching the form of top LoL gamers, you can easily take on the best and even pick up some decent winnings along the way. There’s more to assembling the perfect fantasy esports team than just researching past form, as you also have to think about how the individual players will pick up points. You can get points for kills, assists and creep kills, but remember that you can also lose points if your player gets killed. Your fantasy esports team can also pick up points from destroyed turrets, slaying dragons and killing that all-important baron. There’s also bonus points to be gained from first blood, win, as well as getting a win in under 30 minutes. By thinking carefully about how each player could pick up these points, you will be able to assemble a much stronger side. But don’t forget that League of Legends is a team sport, and it’s their ability to communicate and work together that can give you the best shot of picking up some decent winnings. If you are serious about winning money on fantasy esports, then you are going to have to do some homework on the top LoL esports players. It’s only by knowing the past form of these gamers that you are going to be able to make some decent predictions about how things could pan out once the fantasy LoL contest kicks off. Be sure to check out how League of Legends stars Uzi, Rookie and Score could make a big impact in your team, and then think about how some promising players such as Smeb, Caps and SwordArt could add some decent value to your side. Whilst League of Legends is notorious for providing all manner of shock results, if you are willing to do your research and expect the unexpected, then we think that you should be able to get lucky with your fantasy LoL betting. Are there any other kinds of esports fantasy bets? We’ve primarily focused on fantasy LoL betting here as this game is by far the most popular fantasy esport. Top fantasy esports sites like DraftKings have stated that they are considering extending their service for other esports in the future, but at the moment, it looks like League of Legends is the priority. Hopefully in the future we might be able to place fantasy bets on anything from Counter Strike Global Offensive to Overwatch, and it’s easy to see how the inclusion of these games could help fantasy esports go from strength to strength. But for now, you will just have to focus on making the most of the awesome fantasy LoL betting phenomenon.